Thanks for all your kind comments on this WIP, that, Yes, I just posted about (can you tell I’m having fun with it?). I couldn’t resist a quick update……I took this Sunday, to put my final scrappy string quilt block on the design wall and firm up a final layout. I ended up adding some darker values as I simply couldn’t leave out one of our favorite dresses that Miss A wore as a little 3 year old (more on that in a final post). Although mostly brown, I think it works to give the layout some interesting color values. I’m really excited to get these strips sewn together into what I hope will be a charming little scrappy modern quilt. Busy week ahead!! Hope your weekend was sweet! Oh this is fantastic! Love! Love how this is coming along. Can’t wait to see the finish. I think I saw this over at In Color Order as one of her Friday favourites : ) Its gorgeous. Miss A will be so excited. I just love the whole concept–can’t wait to see the finished product!! Saw this quilt on pinterest and I need to make one. My daughter and I too have a blog on wordpress . 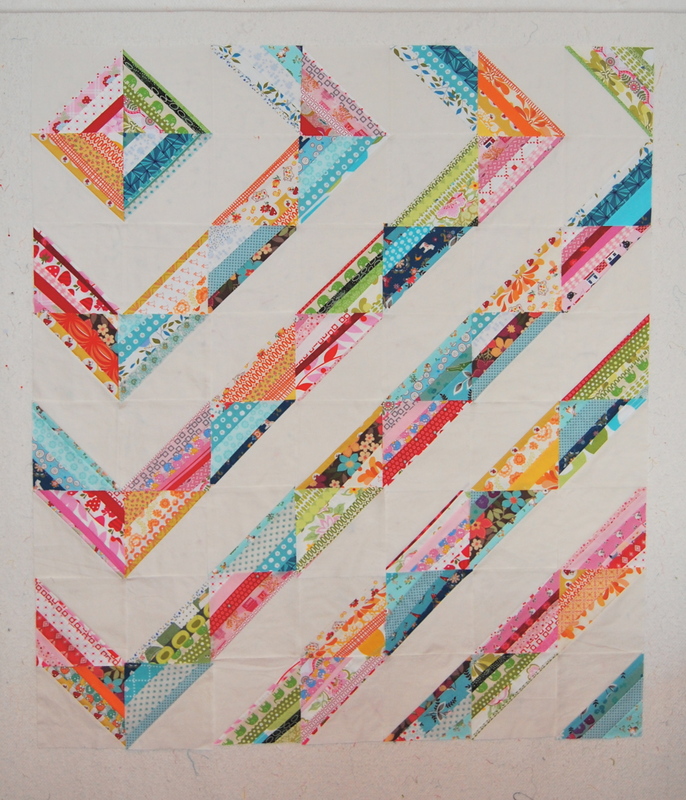 I am an art quilter, but also love the clean look of modern quilts. Chec our blog out I plan to follow you. Beautiful quilts!!!! Pretty lay-out! I’m working on a crumb quilt (37 crumb blocks made!) and am stealing this layout.